With Spring In The Air why not purchase a new Oakwood home! Enjoy a wonderful evening relaxing on your back patio or even your covered deck off the second story! Plan for entertaining in the open kitchen while your whole family can enjoy a home cooked meal at the enlarged eat-in kitchen island. The kitchen hosts Sterling granite counter, Whirlpool stainless steel appliances with gas top range, Tahoe Maple Harbor cabinetry and Stonehenge 5 plank wood floors throughout the main floor. Meander your way over to find the main floor master suite with a luxurious walk in closet and walk-in spa style shower! Find yourself downstairs enjoying the flex space where you can choose how to use, the secondary bedroom, bathroom and laundry room! 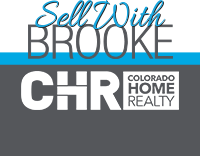 Come see why we are the builder of choice for Colorado families! Call today!